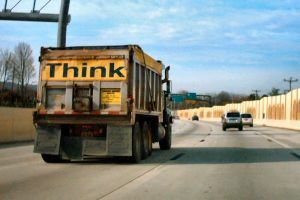 According to a recent article from the Boston Globe, a bicyclist was killed after being hit by a dump truck. Authorities report the victim was riding his bike in the westbound lane of a crowded street when he attempted to make a left turn. During the left turn, the victim crossed over into the opposing lane of traffic and collided with the dump truck. After hitting the truck, he lost control of the bicycle and hit a utility pole. The victim was taken to a local trauma center, where he was pronounced dead from his injuries. It appears that the truck driver was operating within the posted speed limit. An accident reconstruction specialist is taking part in the police investigation, but the police, as of this point, do not intend to press charges against the truck driver. 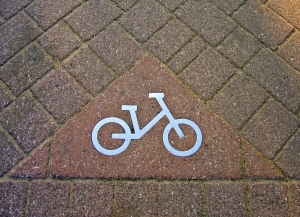 The League of American Bicyclists collected data on bicycle rider deaths from February of 2011 to February of 2013. The data was analyzed and a detailed report on the causes of bicyclist fatalities has now been released. The report was published in May of 2014 and is entitled Every Bicyclist Counts. The findings showed that fatal bicycle crashes are frequently caused by motorists driving passenger vehicles. Bicycle riders who are injured or killed by drivers need to understand their right to obtain compensation from those responsible for collisions. A Boston bicycle accident lawyer can help. With advances in technology, bicyclists are safer on the roads. As cycling becomes more popular, inventors are getting savvy about the needs of the riding community. The Guardian reported some of the top safety gadgets that are going to keep Boston bikers safe. While bikers are still often victims of negligent driving, they can take necessary steps to protect themselves. Our Boston bike accident attorneys are committed to raising safety standards and helping prevent future accidents and injuries. Retro-reflective paint: One of the main safety tools is increasing visibility for bikers. Mission Bicycle is one company that has made reflective or glow in the dark bikes available to the masses. Other bike companies have also developed and branded similar styles to keep bikers safe at night. In the event of a traffic collision, victims have the right to file civil claims against negligent drivers and third-parties. While this is one remedy to help compensate victims who have suffered injuries, personal losses, or the death of a loved one, many safety advocates are urging additional harsher penalties, including jail time. After a recent case involving a garbage truck and a cyclist, advocates are hoping for harsher penalties and additional safety measures throughout the city. Bicyclist-motor vehicle collisions are becoming all too familiar. With an increasing number of cyclists on the road, some drivers have failed to adopt necessary safety precautions. Our Boston bike accident attorneys are dedicated to helping victims and their families recover compensation after an accident. We are also committed to raising awareness and in advocating community safety and legislative action to prevent future accidents and injuries. Bicyclist safety features and infrastructure vary by city and state. Whether city planners have included bike paths, signals, bike lanes and necessary stop lights at intersections can impact how safe the streets are for cyclists. The U.S. Department of Transportation is now focused on increasing bike safety nationwide to improve roadways and to prevent future accidents and injuries. A new comprehensive approach is intended to improve safety for all roadway users, including bicyclists pedestrians, wheelchair users, transit passengers, and motorists. In Boston and nationwide, cities and towns are focusing on improving bike safety and in making cycling a viable transportation option for residents. 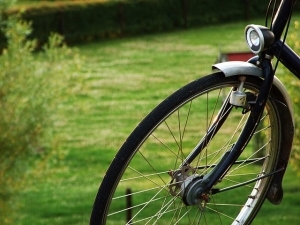 Our Boston bicycle accident attorneys are dedicated to raising awareness on issues that impact cyclist safety. We are also committed to keeping motorist and cyclists informed on local, state and federal issues that may impact biker safety. This current federal trend will likely have an impact on our local roadways and could improve safety to reduce accidents. Cyclists are getting more attention from road designers and politicians as bike safety becomes a bigger priority. Unfortunately, not everyone is embracing the increasing bike-friendly culture and not everyone is excited about bicycles increasing in popularity as a means of commuting. Reports of anti-cyclist hate abound, leading to articles titled Why You Hate Cyclists, and 14 Reasons Why We hate Cyclists. Unfortunately, drivers venting their rage at bicycle riders is not just a harmless way to let off steam. When drivers become angry at riders or question the right of bicyclists to share the road, these drivers put bicycle riders in danger. Drivers who dislike bicycle riders might fail to yield the right of way, might pass too close to cyclists, might not respect the bike lane and might not look carefully for bicyclists in their path before they open the door. Could Boston Follow the Dutch Model to Increase Bicycle Safety? Yet, while these factors would seem to inherently make the roads unsafe, the Globe points out that these same conditions exist in one of the most bicycle friendly places in the world: the Netherlands. Bicycling among the Dutch is one of the most common ways to get around, as there are more bikes than people and 26 percent of commuting trips there are taken by bicycle. Yet, while there are many more people on bikes, the likelihood of being injured or killed in a bike accident is five times less than in the United States and is the lowest in the world. Recently, our Boston bike accident lawyers discussed the outcome of Mayor Thomas M. Menino’s report on bicycle accident causes. Mayor Menino commissioned the report to find out more details about bike accidents as part of an ongoing effort to make Boston a more hospitable place for bicycle riders. The Boston Globe reports that bicycle advocates were initially excited on the Wednesday in early June when Mayor Menino’s bicycle safety report was released. Menino has been a friend to bikers, even creating a program called Boston Bikes to encourage bike riding in the city. The hope was that his commissioned report would shed light on bike accident causes and would lead to public education, law changes and enforcement initiatives to make the roads safer for bike riders. Unfortunately, according to the Boston Globe, some bicyclists had issues with the data that was collected, arguing that it was inaccurate. Others did not like proposals that came out of the report, including a decision that police would begin to cite bicycle riders who run red lights. The report generated statistics on bike accident causes from several sources including Boston Emergency Medical Services, Boston Bikes and the Boston police. The report allegedly revealed that 28 percent of all bicycle crashes occurred when a bicyclist ran through a stop sign or red light. This was the data with which bicycle safety advocates took issue. The reality, when studying the 891 crashes with listed causes, was that bicycle riders either ran a red light or ran a stop sign in only 12 percent of collisions with passenger vehicles. This is far fewer accidents than the 28 percent originally stated in the report. The city did acknowledge that this error was made and updated the figures to reflect the accurate 12 percent number. However, despite the fact that the number of red-light violations by bicycle riders was initially over-inflated, this is an issue that lawmakers have chosen to focus on. This focus will take the form of law enforcement handing out $20 citations to bicycle riders who run red lights. Advocates for bicycle riders are concerned about the fact that false numbers may have led to the decision to crack down on riders. The director of the Boston Cyclists Union who consulted on the report indicated that the error “is really damaging to the reputation of cyclists everywhere.” The director also went on to indicate that the 28 percent number would suggest a need for a crackdown but that this was not the case. Finally, bicycle advocates believed that the emphasis on bike-rider helmet use and the statement by Mayor Menino that he might push for a helmet law was a form of blaming the victim. Whether or not someone wears a bicycle helmet, he or she can be seriously hurt if a driver causes a crash and is entitled to the same compensation as any other bicycle rider from the person responsible for the accident. The focus shouldn’t be on adding new burdens onto bicycle riders nor on citing bicycle riders more frequently but instead should be focused on improving overall safety. Recently, the office of Mayor Thomas M. Menino commissioned a report to learn some more detailed information on bicycle accidents. The purpose of the report was to identify safety issues and to determine the top causes of bike accidents. Mayor Menino commissioned the report as part of efforts to improve bike safety and encourage bike riding in Boston. Our Boston bicycle accident attorneys know that hundreds of bike riders are hurt and killed in accidents each year. Reports identifying causes of bicycle accidents can help to reduce these fatalities by giving lawmakers a starting point for setting safety rules and regulations. Public education campaigns and law-enforcement crackdowns can also be used to curb dangerous behaviors that are identified as top causes of bike accidents. According to the Boston Globe, the report sought to determine the causes of bike accidents by looking at many different sources of statistics on bike collisions. The data was collected and analyzed from the Boston Police as well as from Boston Emergency Medical Services. Data was also collected from Boston Bikes, which is a program that Mayor Menino began in an effort to encourage cycling. The report revealed some general information, including the fact that the number of bicycle accidents increased slightly from 2010 to 2012. However, this increase was not necessarily bad news since ridership of bicycles has grown much more sharply than the bike accident rate. The report also revealed that around half of all cyclists who were injured severely enough to require medical assistance were not wearing a helmet at the time of the crash. This is about twice the number of bicyclists without helmets as compared with the total percentage of helmeted riders. This indicates that helmet use can have a huge impact on whether or not a bicycle accident will result in a need for medical help. In light of the information on helmet use, the mayor’s office is considering making a push to require all bicycle riders to wear helmets. However, the executive director for the Massachusetts Bicycle Coalition indicated that forcing helmets on bicycle riders is not the best response to the study because this is not a proactive position. Wearing helmets doesn’t stop crashes, and that is where the executive director believes that the focus should be. 197 bike accidents ocurred when a driver opened a door into a bicycle rider. 147 bike accidents happened due to failure to stop for red lights or stop signs. 197 crashes happened when the bicyclist and driver didn’t see each other. 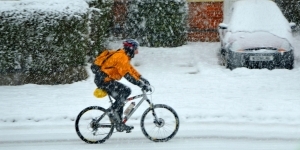 108 crashes happened when a bike rider went into oncoming traffic. 81 bike accidents ocurred due to speeding. Distraction was a cause of 58 accidents. Phones and electronics were also separately attributed to causing 16 accidents. Aggresive driving was a cause of 57 accidents. 4 accidents may have resulted from the bicyclist being in a construction zone. 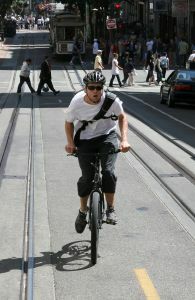 Based on this information, proactive steps to reduce the number of bicyclist accidents may include educating drivers about “dooring” (opening a door into a bike) and cracking down on drivers and bicyclists who drive while distracted or who run red lights and stop signs. Enforcement and education are key to preventing bike crashes, and knowing more about why accidents happen can be very helpful in reducing the number of injuries and fatalities from bike wrecks. The state of Massachusetts ranked as the 6th most bike-friendly state in the country for 2013. And we pride ourselves on this ranking. According to the League of American Bicyclists, Massachusetts earned this ranking for good reason. Out of a scale of 1 to 5, we got a 4 for our bicycle policies and programs. While not the best, we are far from the worst. We earned a 3 ranking for our legislation and enforcement, education and encouragement as well as for evaluation and planning. Our Boston bicycle accident lawyers understand that we’re not at the top yet, and it’s long road (or bicycle path) to get there. According to researchers, there are some simple steps that could help us to make our area safer for our cycling friends. -Lawmakers should consider adopting a safe passing law with a minimum distance of 3 feet to address bicycle safety. -Look into getting a tougher vulnerable road user law that increases penalties for motorists that injure or kill a bicyclist or pedestrian. -There should be a law allowing transportation agencies to post 20 mph or lower speed limits under certain circumstances. -State lawmakers should look into enacting a statewide, all-ages cell phone law for drivers to combat distracted driving and increase safety for everyone. 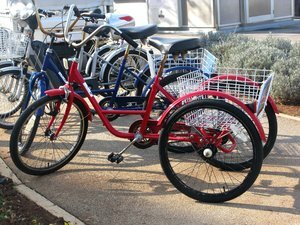 -There should be a policy requiring state official buildings, state parks, recreation facilities and other state facilities to provide bicycle parking. -Since arterial and collector roads are the backbone of every transportation network, it is essential to provide adequate bicycle facilities along these roads. Increase the percentage of state highway network that has paved shoulders or bike lanes greater or equal to 4 feet wide. -The state of Massachusetts is spending a low amount of federal funding on bicyclists and pedestrians. Adopt a federal funding protect rating criteria that provides incentives for bicycle projects and accommodations. -Create a state bicycle rider’s manual to ensure bicyclists have a pocket guide for rules of the road, relevant laws, state bike route and other necessary information. 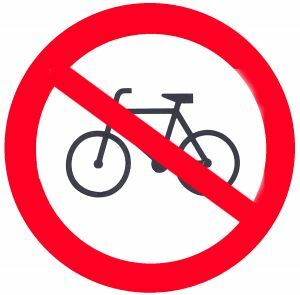 -Hold a bicycle ride sponsored by the governor and/or legislation to show their constituents that their elected officials support bicycle riding. In 2011, there were close to 10 bicyclists killed in traffic accidents in the state of Massachusetts. According to the latest release from the National Highway Traffic Safety Administration (NHTSA), these fatalities accounted for close to 2 percent of all of the roadway fatalities recorded throughout the state that year. And don’t forget that we’re in the middle of National Bike Month. According to The League of American Bicyclists, there are ways that we can all do our part to ensure that bicyclists have a voice out there and that we’re properly protected. The truth is that bicyclists have a right to our roadways, too. Make sure you’re respecting these rights and looking out for our two-wheeled friends. And bicyclists — be safe out there. We can’t rely on the safe driving habits of other to keep us safe. Stay one step ahead of the traffic around you and stay out of the danger zone.